Six Giraffes: The deck is complete! I am so proud to say that I completed this enormous project! (See this post for the details.) My deck is called The Five Elements, which I chose to model after Air, Fire, Water, Earth, and Metal. 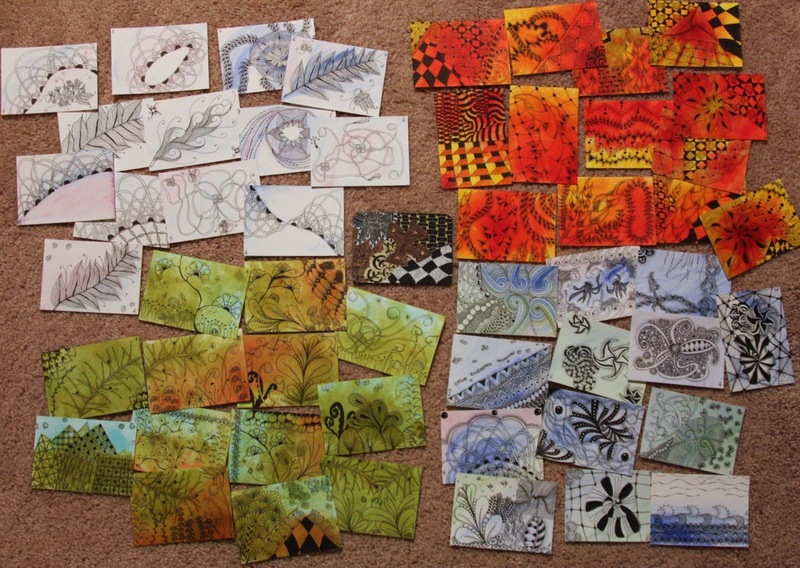 These 52 cards (plus one bonus) are now in North Carolina awaiting the big swap day. I can't wait to see the 52 cards I get in return. People have asked, "Is it hard to give them away?" My answer is surprisingly, no. I think I went in with the intention that these cards would be gifts. In some ways, it made me even more perfectionistic--I wanted each one to bring a smile and a "wow" to its new owner. But as time ticked by, I found a groove and let them flow.